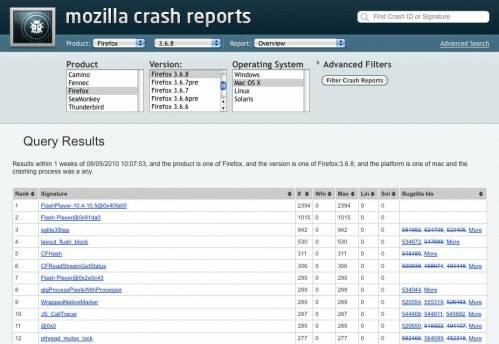 The Mozilla folks make it pretty easy to send them crash reports… In fact, I think it was Netscape that first implemented a way for the browser to easily submit a report when something went wrong and your browser crashed. I did find some instructions for reporting a crash bug in Chrome, and of course Safari can also send crash reports. Hopefully this makes for better software in the future. 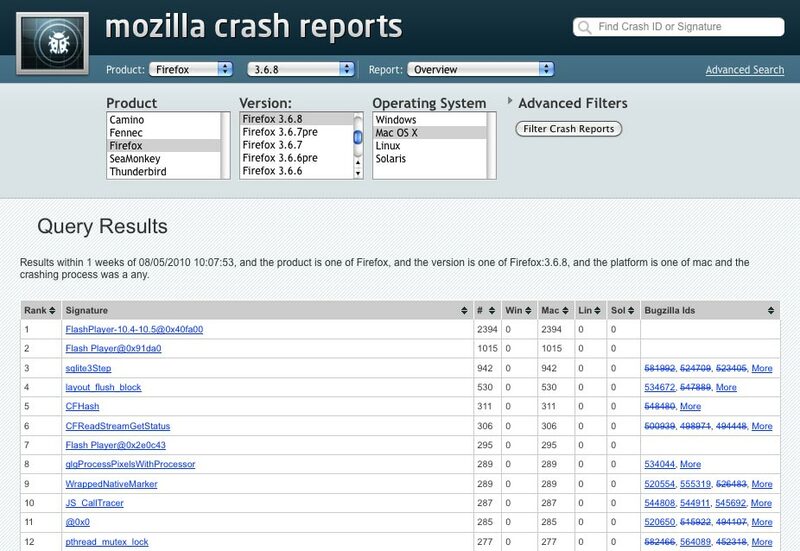 In digging into all the crash reporting, I found that Mozilla actually publishes the results they get. Head on over to their crash-stats site and take a look. I couldn’t find if Google or Apple has anything like this, but if they don’t, they should think about it… There’s some great data in there.